Only one week left in the Sting.com '25 Days' countdown! As a thank you to our Sting.com fan club members, today's contest is open to members only. One randomly selected winner will win an autographed, limited edition commemorative poster created for Sting's upcoming 25th anniversary/60th birthday concert at the Beacon Theater in New York City on October 1! 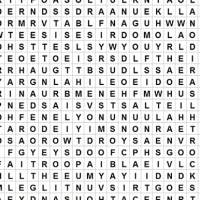 We've hidden forty-three songs written by Sting in the word search puzzle below. We'll give you forty song titles and your task is to find the remaining three! When you find the titles of the three songs that are not in the above song list but ARE in the word grid, complete the form below and send us your entry by 11AM/EST tomorrow. The winner will be drawn at random from all correct entries. Please note, you must be a Sting.com fan club member to participate in this contest. For details on how to join, click here. Sting: 25 Years, the definitive box set collection, is available today in the UK and will be released tomorrow in the US! To order, please visit the Sting Store. This contest is now closed. The winner was Udo Gruetzmacher who correctly answered Until, Valparaiso and The Wild Wild Sea. The missing song titles are marked on the grid above. puzzle cleared in a reasonable short time, funny and rewarding :-) good luck everyone!! Very hard stuff - but also fun! It very very interesting game. I from Russia, bit very very love my dear Sting! I hope to get an autograph=) Good luck everybody !!!!!! Thanks for this. It was good fun. I think I need an eye test now though! Just one more mystery song to find...my eyes are going all funny. Gonna take more than an hour, I think! :) Good luck folks! Now This is Fun !!! Thanks to Dave & Wendy & Tina for making this 25 days stuff so fun for us !! Words , puzzles , Stings music ... What a great combination !!! Love it. Answer the following trivia question for the chance to win an autographed copy of Sting's album Songs From The Labyrinth! 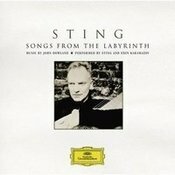 For years, Sting was asked to perform the music of 16th century English composer John Dowland. The idea finally came to fruition after he met the Bosnian lute player Edin Karamazov, who worked with Sting extensively on the project. Sting calls Dowland "the archetype for the traveling musician." Check out these photos of Sting at iHeartRadio Music Festival - where Clear Channel Radio Stations presented the largest concert event in Radio History at the MGM Grand Garden Arena on September 23 and 24, 2011 in Las Vegas. Sting, Lady Gaga, Coldplay, Alicia Keys, Steven Tyler, The Black Eyed Peas, Kenny Chesney, John Mayer, Jennifer Lopez, Usher, Carrie Underwood, Jane's Addiction, Nicki Minaj, David Guetta, Rascal Flatts, Bruno Mars, Kelly Clarkson, Sublime with Rome, were just some of the Music Superstars To Converge On Las Vegas on 23/24 September... Awesome stuff!